In the last weeks and months there has been a lot of hype about security tokens and how they could revolutionize the blockchain industry, also due to the recent launch of the security token platform tZERO. But what exactly are security tokens and how exactly do they fit into the crypto currency and blockchain industry? Tokens can generally be divided into two different categories: Utility Tokens and Security Tokens. Utility tokens offer their holders a service and/or a product. For example, utility token owners may have the right to access a particular network. They can also give their owners the opportunity to have a say in the project (proof-of-stake or delegated proof-of-stake). Security tokens, on the other hand, are a type of token that derives its value from a tradable external asset. They therefore represent assets that already exist in the “real world” and can therefore act as a bridge between the block-chain world and the traditional financial industry. However, if a token is considered a security, it is subject to the US Securities and Exchange Commission (SEC), which has increasingly come into the focus of the crypto community over the past year for the purpose of classifying Bitcoin, Ether and Ripple as (non-)securities or by being responsible for approving a Bitcoin ETF. Due to the strict regulation, like a “traditional” financial product, providers of security tokens have to deal intensively with consultants, lawyers and regulatory authorities. Revolution from ICO to STO? Some experts even speak of a “third wave for crypto” in security token offerings (STOs). The CEO of CoinShares explained this statement a few weeks ago. Bitcoin represented the first wave, a “new era of value transfer”. With the second wave came Ethereum and the Initial Coin Offerings (ICOs) based on it, as well as the self-proclaimed “Ethereum killers” like EOS, Tron etc..
A new trend in 2019, the so-called “third wave”, could be security tokens, according to some experts, such as the CEO of CoinShares. While ICOs made it possible for the first time for anyone with access to the Internet to request investment capital, numerous fraudsters and scams entered the crypto market. The open, decentralized and largely unregulated nature of ICOs was certainly a driving factor behind this development in 2018. However, this was certainly not in the interest of the individual small investors, nor in the interest of the regulatory authorities, as the SEC repeatedly stressed in the United States. This is where security tokens come into play. Instead of trying to evade regulation, STOs seek regulatory security and are not in an unresolved area of law. The most successful STO to date is from tZERO, which has raised $134 million for its trading platform. tZERO offers a blockchain-based platform for trading and settlement of security tokens, designed to enable companies to easily and cost-effectively raise capital by introducing their own security tokens. Small and medium-sized enterprises in particular should benefit from this possibility. As Overstock’s Patrick Byrne explained on 19 January, tZERO will be officially launched in the next few days and thus possibly herald a new trend for 2010? On 25th January tZERO announced that secondary trading in its securities tokens distributed to investors earlier this month is now live. 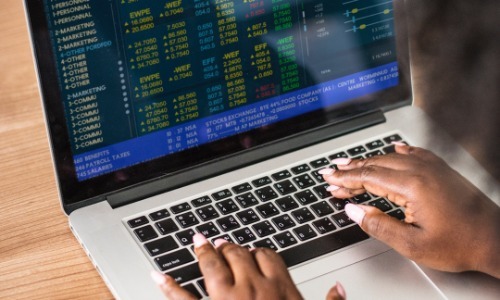 Accredited investors can now trade with other accredited investors through a digital securities brokerage account at Dinosaur Financial Group, LLC, tZERO Securities Tokens. The latter acts as broker-dealer.